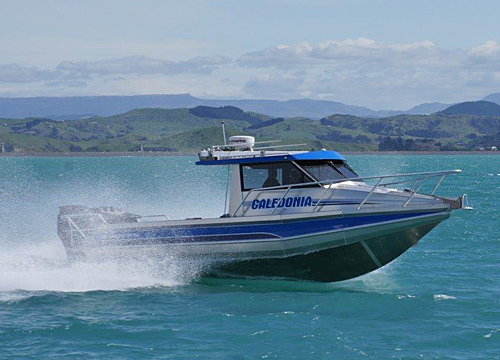 An impressive offshore boat, the RH780 is the first of the larger models to be 2.7 metres wide. With the ease of obtaining an overwidth permit, the RH780 suits many of today’s larger SUVs, with a tow rating of 2,500-3,500kg. The added beam gives extra cabin and cockpit room. The RH780 is a larger hard top with open or lock-up options available, and a huge internal cockpit width of more than two metres. 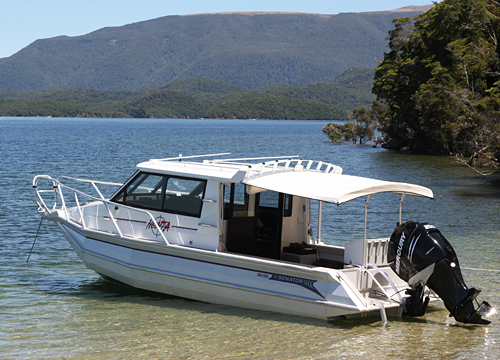 Its roomy cockpit and main cabin offer increased comfort and the reassuring sense of safety and security only a larger boat can offer. 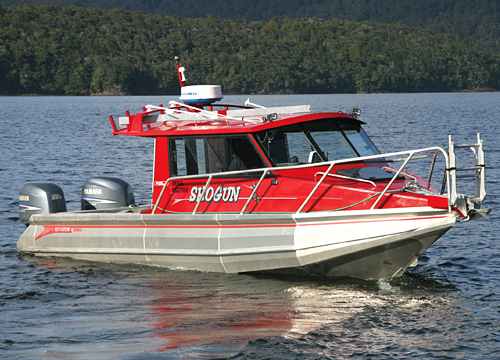 This model is perfect for the serious boating family or commercial user, rescue craft or charter vessel. 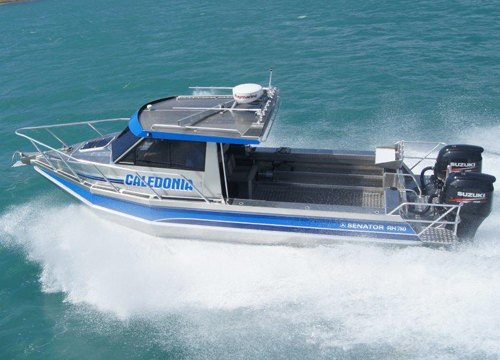 The RH780 can be single, twin or stern drive compatible and with diesel and petrol motors available through to 350 horsepower, the possibilities are endless. Contact your dealer today to custom build the RH780 to your dream boat requirements.